Panoramic ocean view up and down. Excellent off-season retreat. 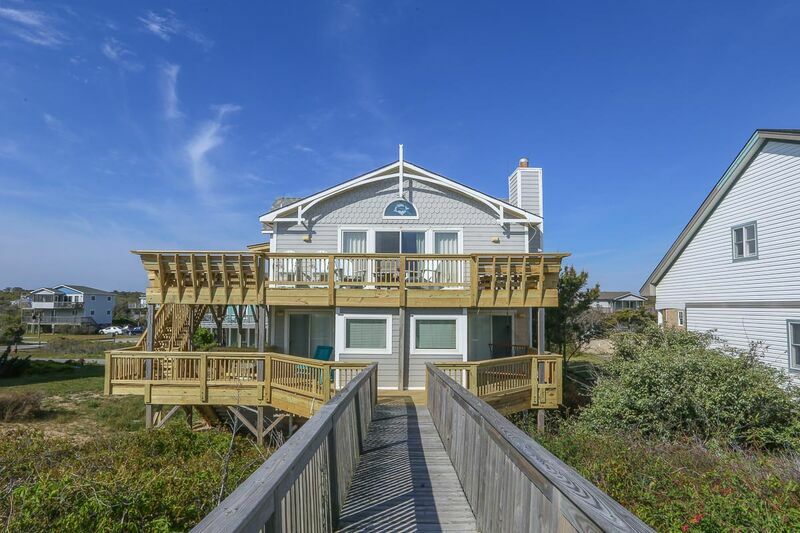 4 bedrooms (2 with Double, 1 with Twins, 1 with Bunk set, 1 Rollaway), 2 baths (1 with ocean view, 4 person jacuzzi tub and separate shower; 1 with tub and shower), 4 CATVs and DVD/VCR player. Vaulted ceiling, living/dining area, wet bar, 2 CATVs and DVD/VCR players, stereo with tape and CD player. 1 bedroom (with Queen), 1 bath (with large shower).